The Inkatha Freedom Party (IFP) remains unperturbed by its almost non-existent footprint in Limpopo as it gears up for what would be the most highly-contested general election in the history of the country, next month. A total of 48 political parties are set to contest the elections on May 8. 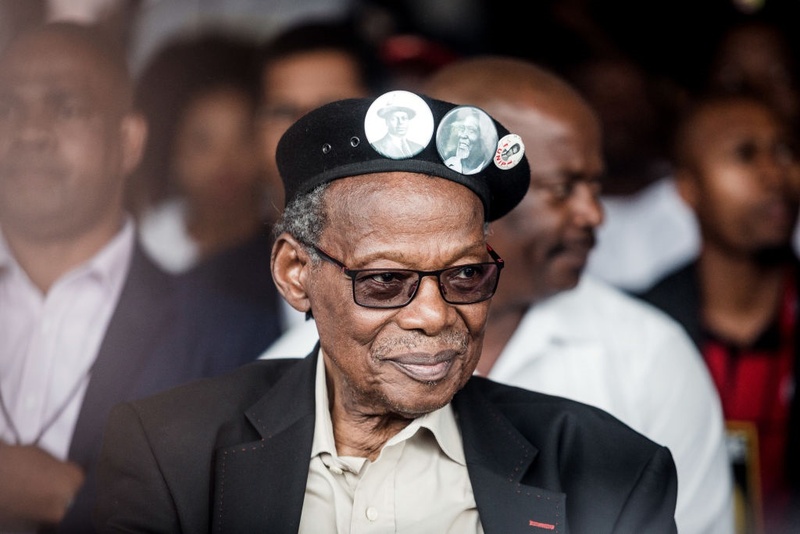 Speaking to the media after he addressed a rally in Polokwane on Saturday, party leader Mangosuthu Buthelezi said smaller parties should not be treated with disdain "because the essence of democracy is multi-party democracy". This was against the background that the party garnered just over 1 200 of the 1.5 million votes cast in the province in the 2014 general election. It also stems from an assertion by some analysts that votes from provinces for smaller parties were only meant to strengthen the national tally for them. "I think it is irrelevant that the majority party got a high number of votes [in the 2014 elections] because the essence of democracy is multi-party democracy. You find that in all democracies, smaller parties are not treated with disdain. "Recently, a statement was made by the DA that smaller parties should be dislodged and that people should [not] vote for them," he said, referring to a recent SMS controversy in the Western Cape, where the DA discouraged splitting the vote with smaller parties amid a mooted ANC/EFF coalition. "That is to ignore the fact that I had a friend in SA by the name of Helen Suzman who became known in Parliament for a very long time. "It’s amazing that the DA message could be in that format when Helen Suzman is an example that we exist today because she stood there alone," Buthelezi said. He dismissed concerns that his party was on a decline in terms of electoral support since the dawn of democracy in 1994. Instead, he blamed a lack of funding for the party’s inability to experience growth. But Buthelezi said the lack of funding was an impediment to the growth of the party, as opposed to the ANC, "which uses poor people and taxpayers' money" to promote themselves. "The [state capture] commission has revealed that money is the milk of politics and you have seen the questionable way in which state funds have been used to promote themselves. "I'd rather be a small party than a party that uses poor people and taxpayers’ money for funding," he said. On the question of leadership, Buthelezi disagreed that he remained just to be the face of the IFP during the election period, because there’s no else who currently carries the political weight he does. He said he would not have been the face of the party's election campaign, had the elective conference been held earlier this year. The conference could not go ahead because of lack of funds, he said. "We’ve identified a leader that should take a baton from me. The structures of the party identified someone in October 2017. There’s no controversy about him because he’s someone who is one of my protégés. "He was the leader in the youth brigade, he became a teacher and he's now a mayor. I should not have been leading the election campaign. I was reluctant to do so," Buthelezi said. He said he was compelled by the party structures to lead the election campaign and that he had an obligation to ensure that his legacy was not destroyed.